Hi. 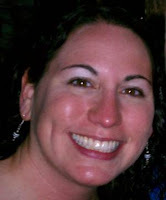 My name is Alison and I am excited Dr. Pace asked me to be a guest blogger! When it comes to blogs I am a long time reader, first time blogger. I am currently in Dr. Pace’s class at UNI in the Ed Leadership program. I keep plenty busy with two jobs and school; keeps me on my toes! I lived on the east side of Des Moines when I was younger, but my family moved to a quiet suburb when I was in 2nd grade. My parents ran out of things to say when my brother and I asked why our bikes kept getting stolen. The final straw was a man who broke in and was found sleeping in our house. We landed in suburbia. Everyone I went to school with looked like me and we all had similar religious beliefs. I was there from third through twelfth grades and was quite happy and comfortable. If you would have asked me then what I would be doing as an adult, there is NO way I would have every guessed I would be working with alternative high school students and loving it!